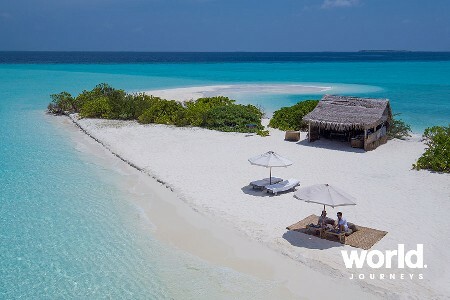 Located on the island of Bodu Hithi in the North Male Atoll, only 40 minutes by speed boat from Male international airport, Coco Bodu Hithi is a true island paradise. 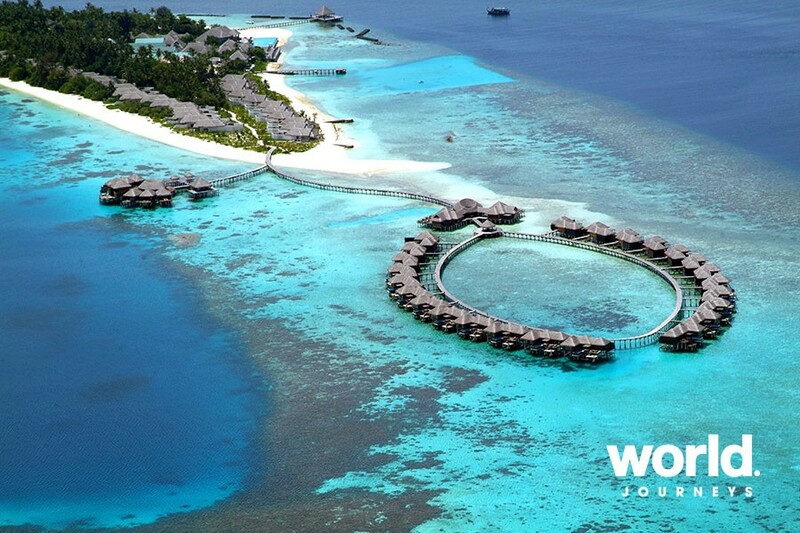 Spend your days watching colourful shoals of fish as they dart beneath your villa, watching a movie on the beach beneath a canopy of stars, sampling traditional Maldivian theluli mas or dhon riha, fresh from the mornings' catch or simply relax in Coco Spa. 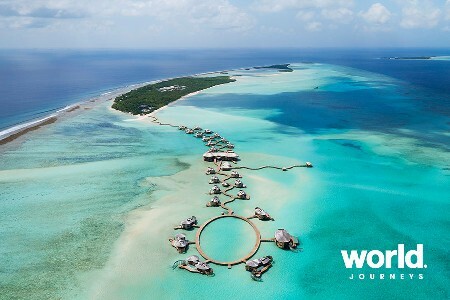 This welcome begins by selecting from a choice of accommodation which ranges from large beach-front Island Villas to the ultimate seclusion of the over-water Escape Water Residences. 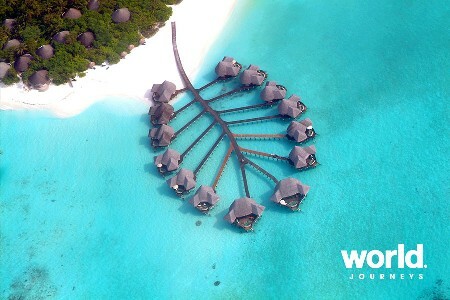 There are 100 villas to choose from on this tear-shaped island and each one has been designed with your comfort and convenience in mind. 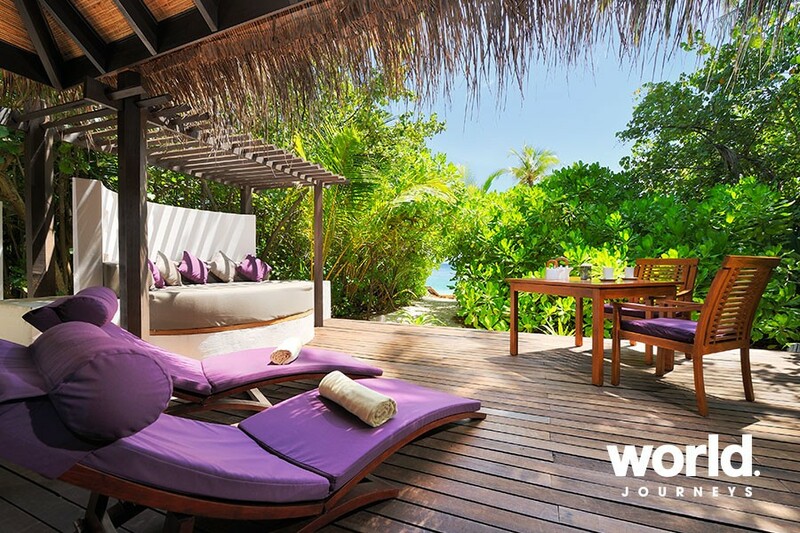 From the privacy of a natural island garden to incredible 360 degree ocean views, the perfect villa is waiting for you. 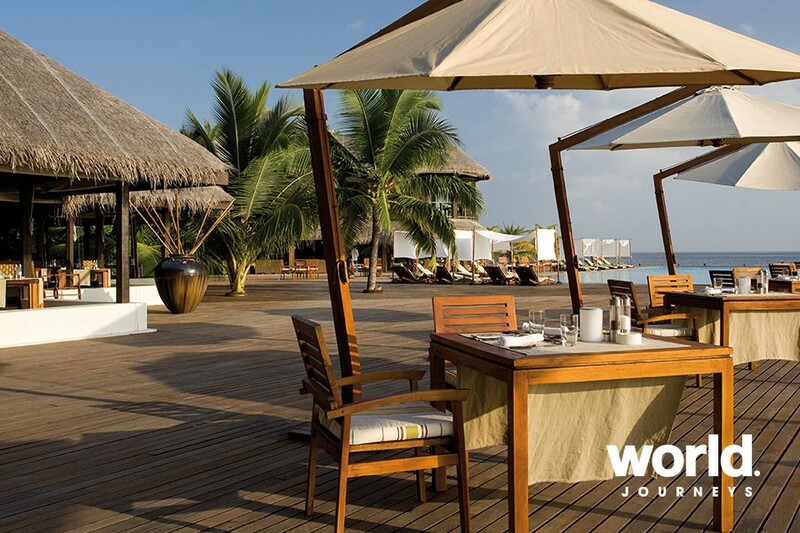 Whichever you choose, upon arrival you will find a calm and peaceful haven that you simply won't want to leave. 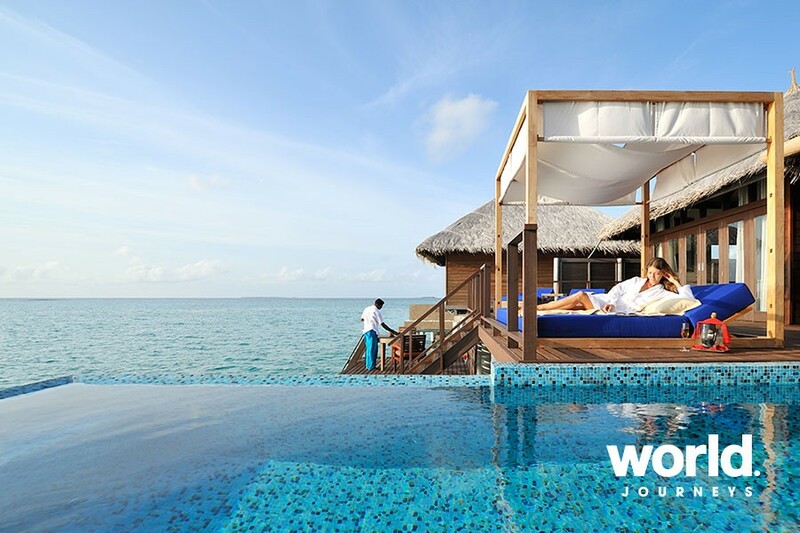 All villas have a timeless charm and combine elements of traditional Maldivian architecture, such as a high-pitched roof, with modern customised touches, like deep designer bathtubs. 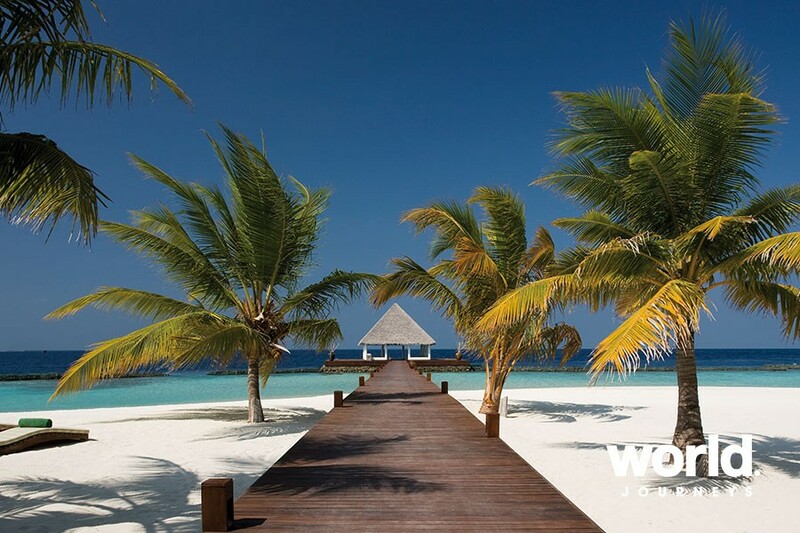 Island Villas The Island Villas are artfully designed retreats that combine the best of traditional Maldivian architecture with the latest in personal luxury. Open plan, yet intimate, each villa includes a feature bathing area where you can submerge yourself in the large central tub, a relaxing master bedroom with comfortable king-sized bed and a sunken living area with sofa, flat screen TV and personal bar. There are two outdoor spaces where you can relax and unwind. 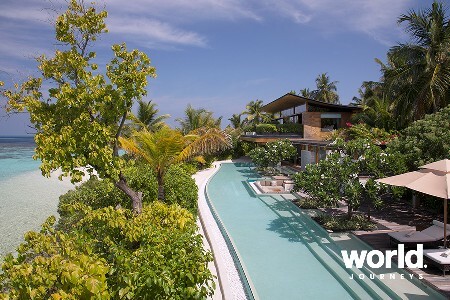 Enjoy complete privacy in your personal garden pool and views of the crystal clear ocean from your beach front terrace. 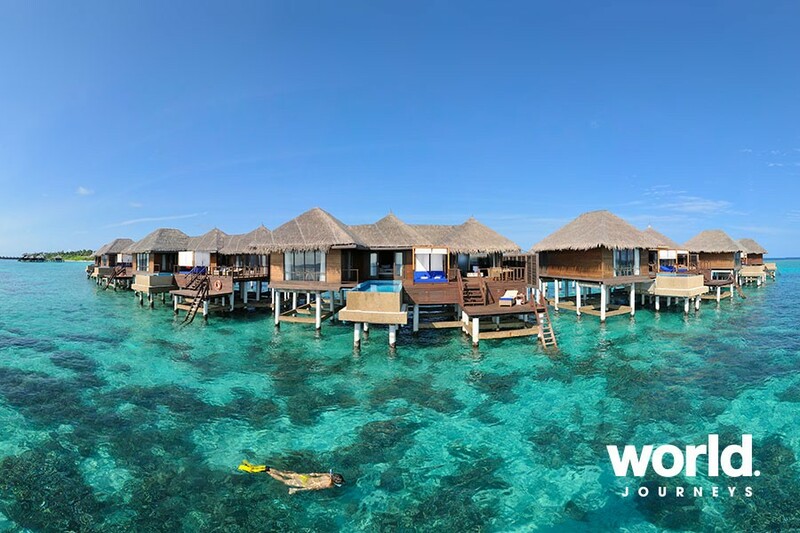 Water Villas Suspended on stilts above the lagoon, the Water Villas reflect the vastness of the ocean with the intimacy of an island hideaway. Light, airy and comfortable with screen-separated living spaces, the bathing area includes separate wash basins and an indulgently deep designer bathtub. The master bedroom offers every comfort with a large king-sized bed, flat screen TV, stereo and unforgettable views of the Indian Ocean. For an uninterrupted vista, step out on to your terrace to lounge on the day bed or take a dip in your own private pool, before enjoying a romantic dinner for two as the sun sets. 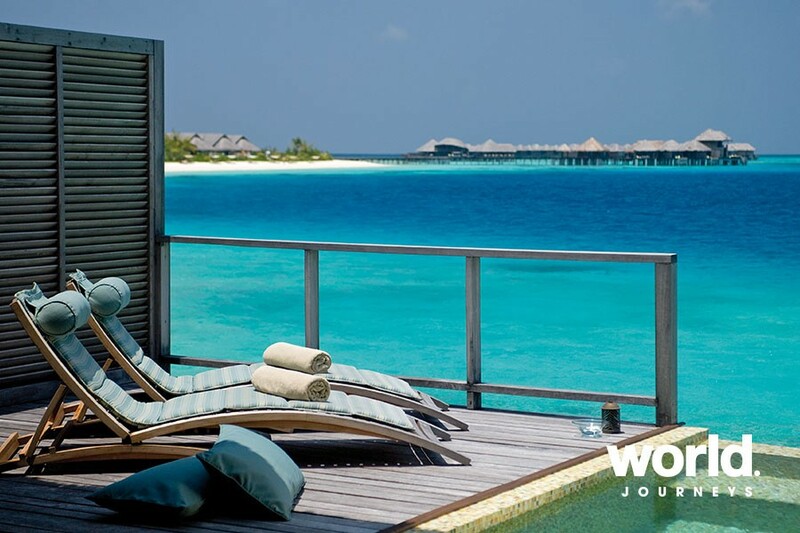 Escape Water Villa Leave everything behind as you relax to the soothing sounds of the lagoon as it ebbs and flows around your Escape Water Villa. The natural beauty of the Maldives is framed perfectly by the floor-to-ceiling windows in every room. Outside steps lead down to the lagoon so you can snorkel whenever you choose or simply drift away in your own private infinity plunge pool. The rooms are spacious and include a separate living room with flat screen TV, stereo and DVD player, a bedroom with king-sized bed, dressing area and bathroom with double bathtub and large shower room. 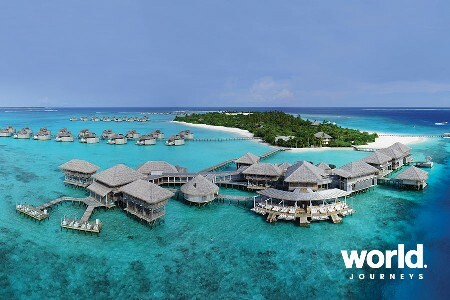 Escape Water Residence Peacefully remote yet close to the island,the Escape Water Residences are the largest of our over-the-water villas giving you the ultimate feeling of seclusion as you recharge and refresh. Spaciously comfortable, each villa features high ceilings and large windows that provide stunning natural light, highlighting the bespoke furniture and exquisite interior. A separate living room offers flat screen TV, stereo and DVD player while the bedroom features a king-sized bed, spacious dressing area and bathroom with huge double bath, and indoor and outdoor showers. The alfresco terrace area, where you will find a four-poster day bed, sun loungers, dining area and your own private infinity plunge pool, is split-level with steps leading into the lagoon. Other villa categories available on request. Supplements and special conditions apply over peak periods. Please contact World Journeys for all pricing and details.